Olivia Culpo Jumpsuit | Valentino DUPE! Happy Tuesday ya’ll!! I hope you all are having a great start to your week! I can’t believe how fast time is flying and especially that Valentines Day is coming up next week?!?!? 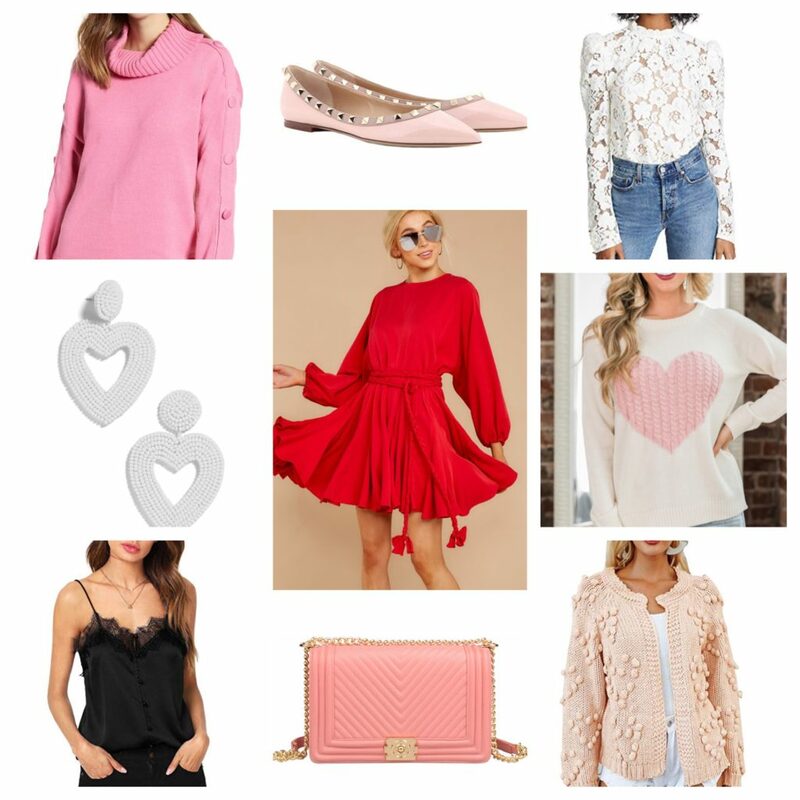 So today I wanted to share some fun easy Valentine’s Outfit ideas! 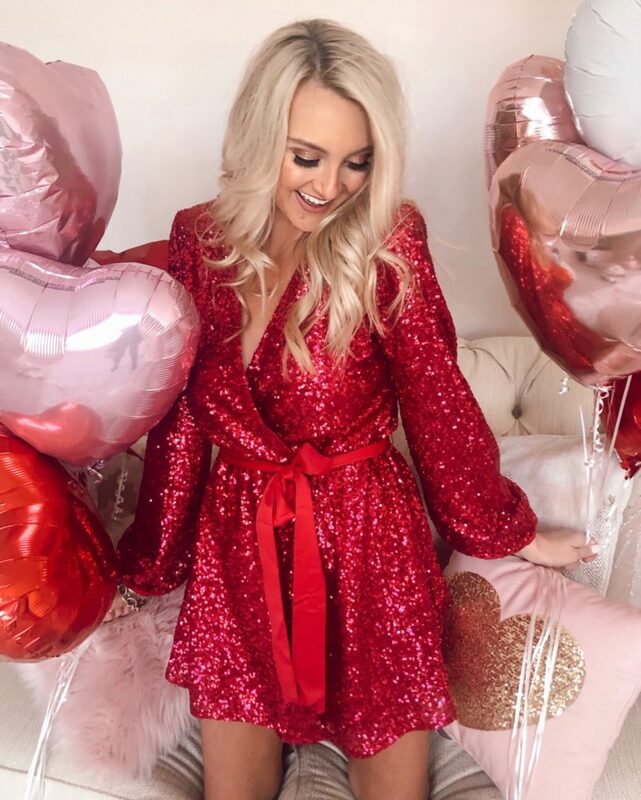 This year Brian and I will definitely be staying in with our little Valentine and I couldn’t be more excited Today I wanted to share a few options of looks I have styled as well as a quick boutique of some of my favs! I have also linked up some great Amazon dupe finds in the boutique for Gucci, Chloe, Valentino and more! 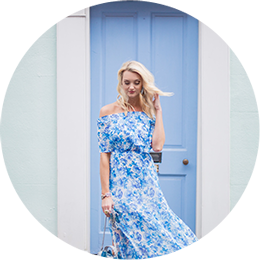 I have also found some amazing dresses Under $50 like THIS ONE I am DYING OVER! A couple of my Amazon finds I am LOVING are this LACE Cami Under $20, this beautiful lace top in white and THIS cozy heart cardigan Under $30! In the boutique below you will see tons of fun dupes and all you have to do is click the item and it will take you to purchase! I also wanted to mention that I have rounded up some fun heart earrings like THESE resin ones , heart drops and these simple heart hoops that are just the right size! 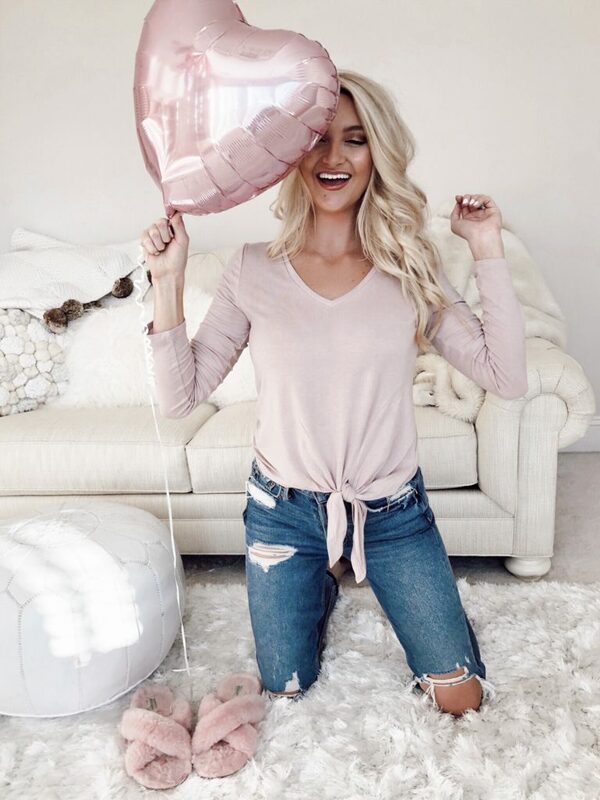 To make everything EASY to SHOP so you can come back to the blog and still find the items I am starting a Valentines Day Tab on the top of the blog so come back and I will continue updating through the week! I hope you all have the BEST DAY ever and enjoy today’s post! XOXO!